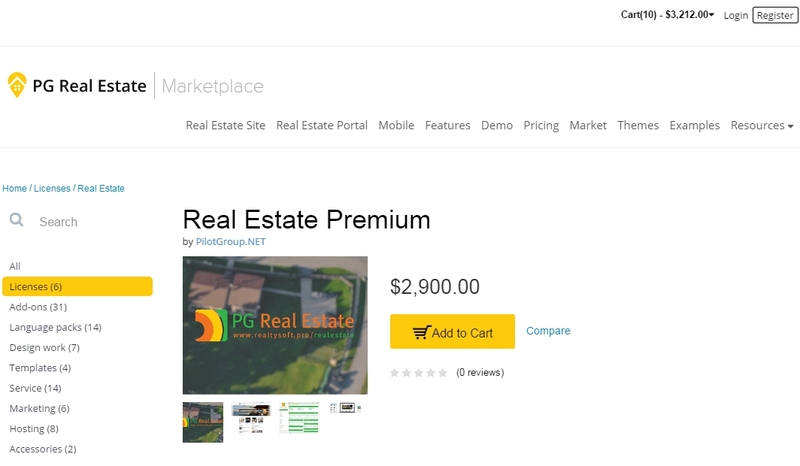 Home › Welcome to the Pilot Group Helpdesk › PG Real Estate Solution › Frequently asked questions › How can I purchase apps, products or services in PG Real Estate Marketplace? 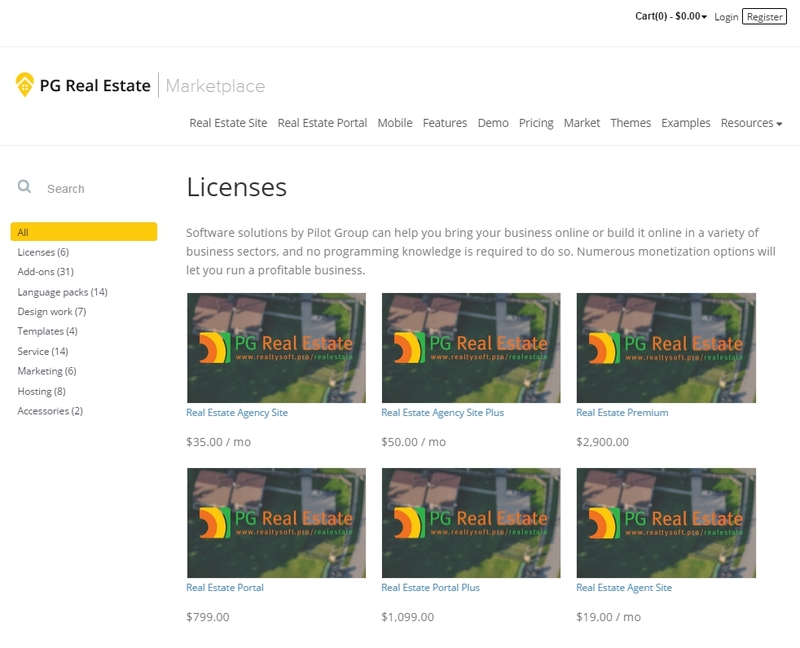 Go to the PG Real Estate Marketplace to view the whole range of features and services that our company has to offer: product packages, apps and add-ons, design templates and services, and more. Use the left-hand menu to navigate the Marketplace. Select the item you wish to buy and click ”Add to Cart”. 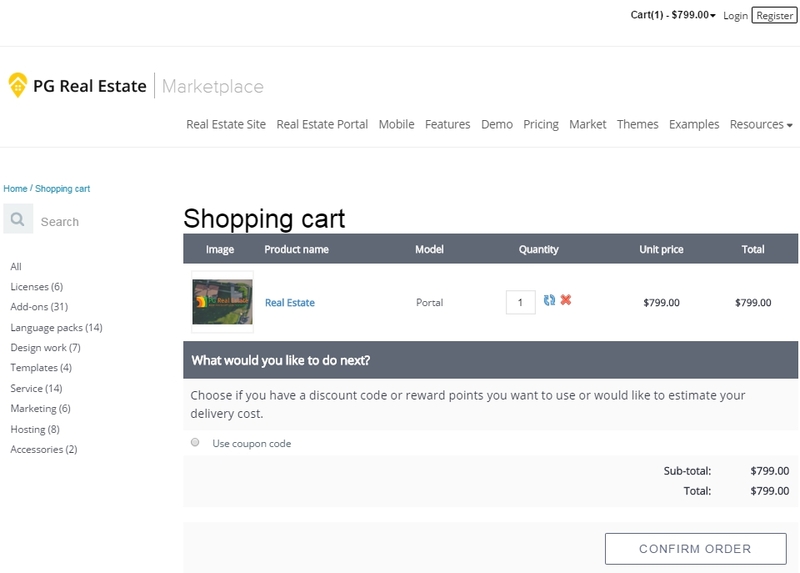 You can preview your Shopping cart in the popup window above, or go to the Shopping cart directly. 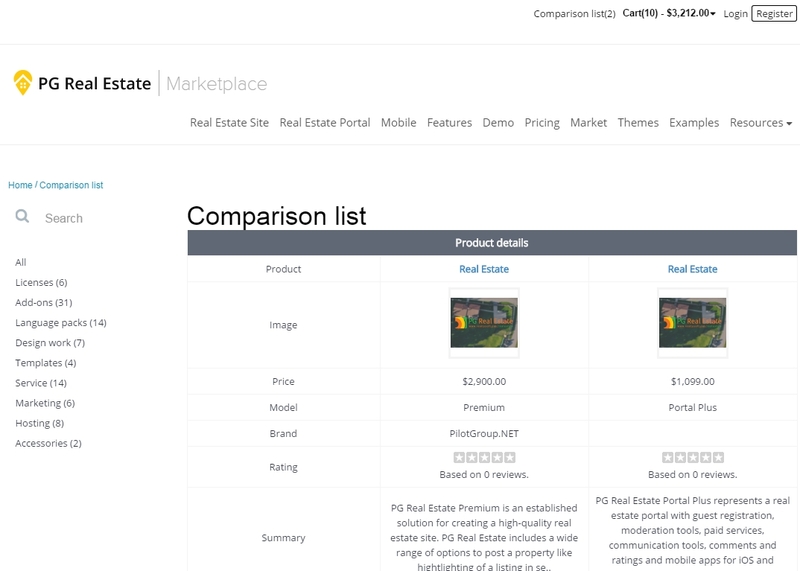 To compare two or more products, click Compare and proceed to the Comparison list. After you have made up your mind, return to the shopping cart, add your email address and click ‘Confirm order’. You will be taken to the secure payment gateway. Depending on the item you have purchased, you will either receive a download link, or our managers will contact you to discuss the details of the delivery.